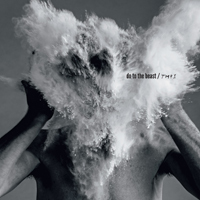 The first video from The Afghan Whigs new album ‘Do to the Beast’ (out April 14th on Sub Pop) was released this week. ‘Algiers‘ was The Metro’s pick of the week and featured on Uncut, 405, Best Fit and many more. NME have premiered a new Black Lips track ‘Justice After All‘ this week from their forthcoming album ‘Underneath the Rainbow’ released on VICE on March 17th. Augustines were featured in 2 pages at the Independent this weekend with one of the great rock records of recent years from Drowned in Sound and album of the year talk from Classic Rock and many more. The So So Glos UK tour starts today! 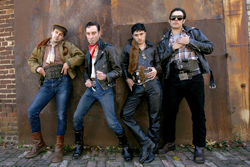 Scuzzy punk rock Brooklynites The So So Glos are set to tour the UK starting tonight! 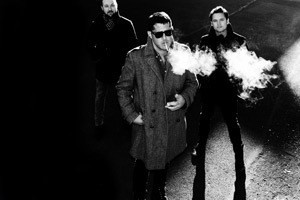 They headline at London’s The Garage on February 20th. You can watch the video for their explosive track ‘Son Of An American’ here, due for its debut UK release on March 10th. What’s Left Of Me is the new album from More Than Life, released April 14th through Holy roar Records. Watch the video for lead single ‘Do You remember’ here. 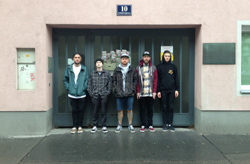 Lo-fi slackers Radstewart join our ranks at Division for their upcoming EP, Wiccans & Beatlemancers. Head to Noisey for a free download of ‘Insane Parties’ – taken from the EP due 17th March.